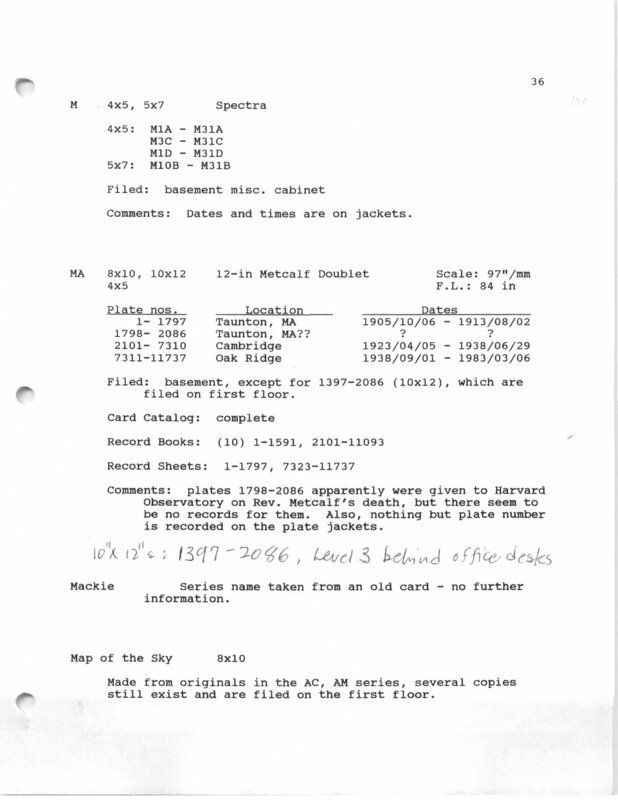 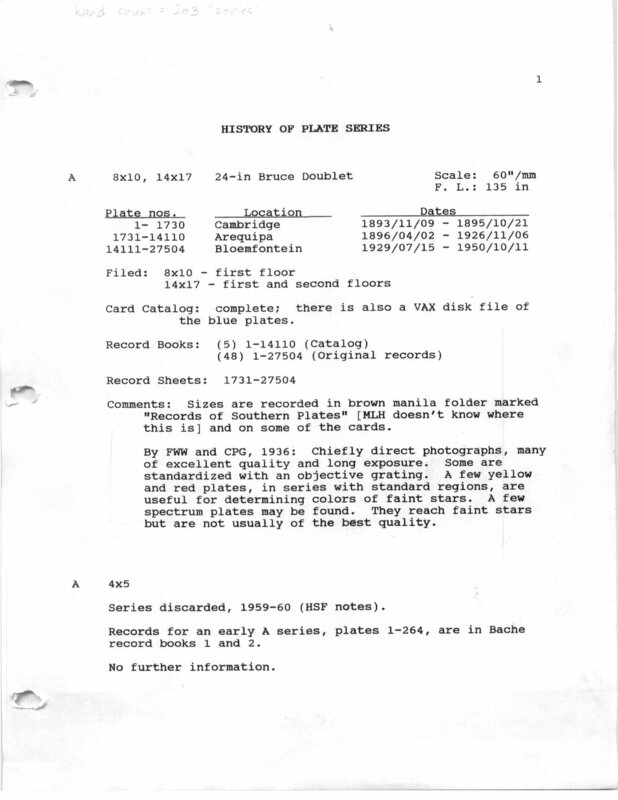 Plates are cataloged by plate series and plate number. 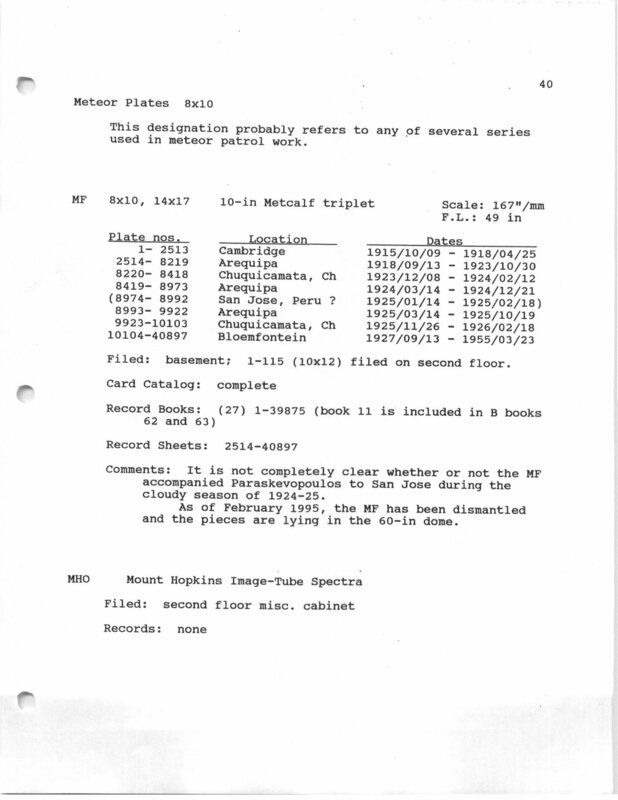 Each series typically represents a single telescope although some series, notably the "mb" series consists of data from multiple telescopes. 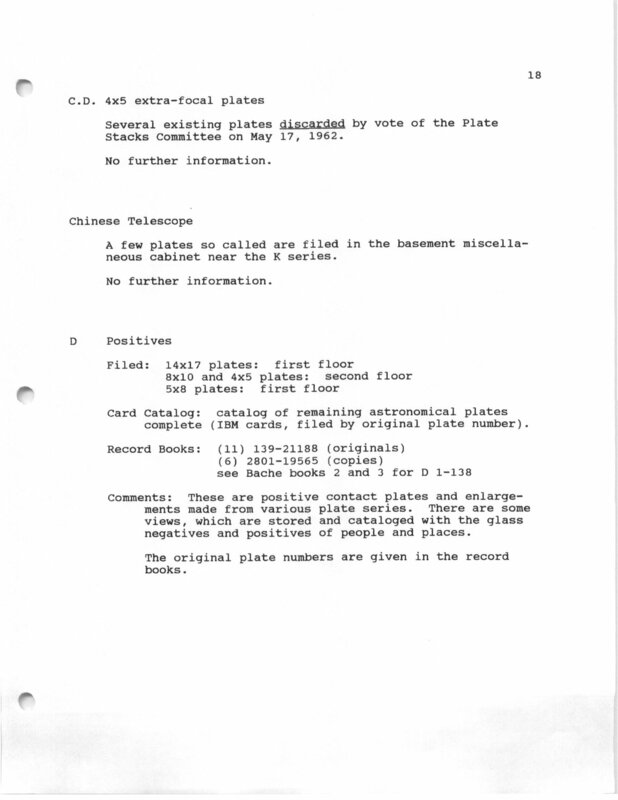 Telescopes were occasionally moved to other observatories depending on observational goals. 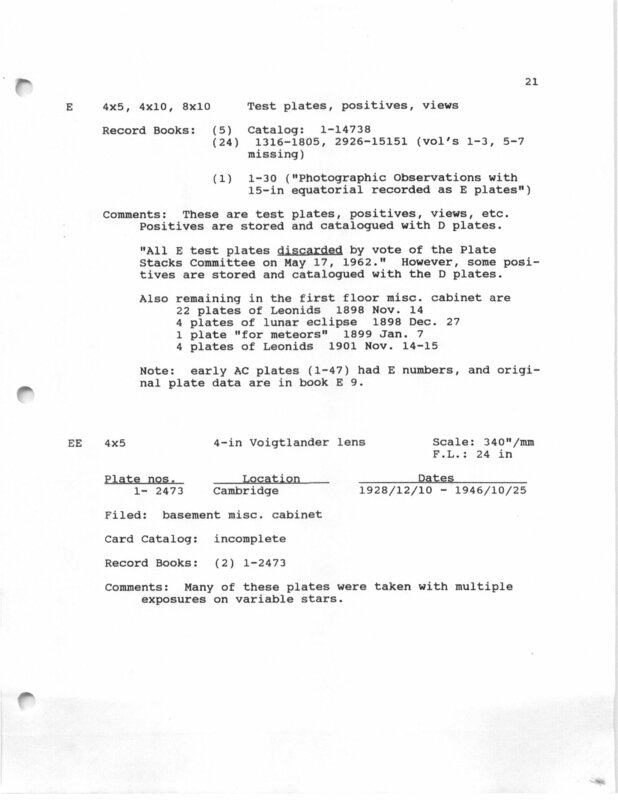 The following table represents all of the Harvard plate series currently in the database. 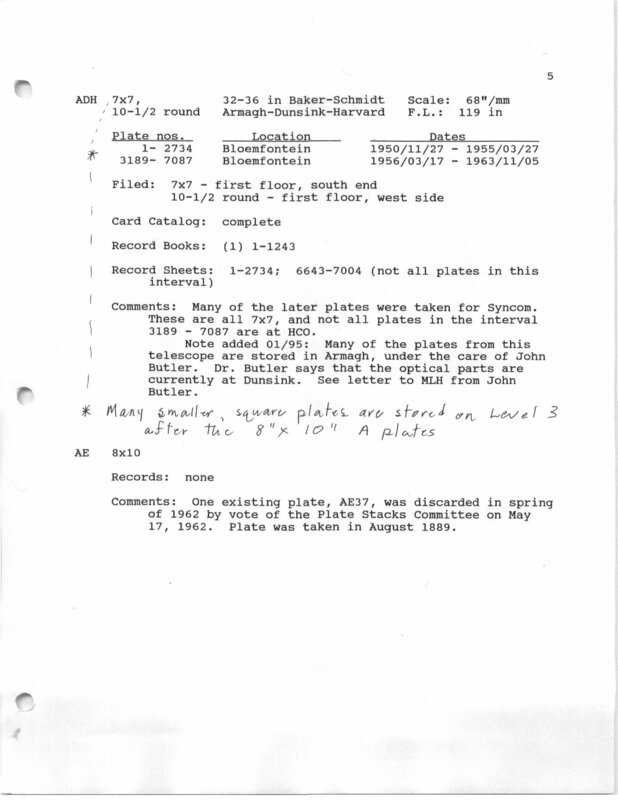 The plate scale, if available, comes from Jessica Mink's WCS fitting algorithm. 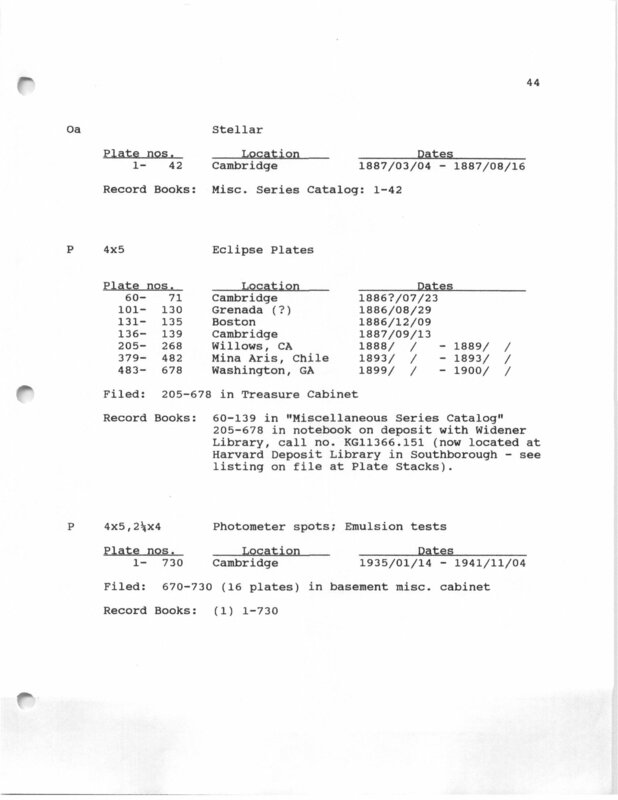 Otherwise, the scale comes from archive records. 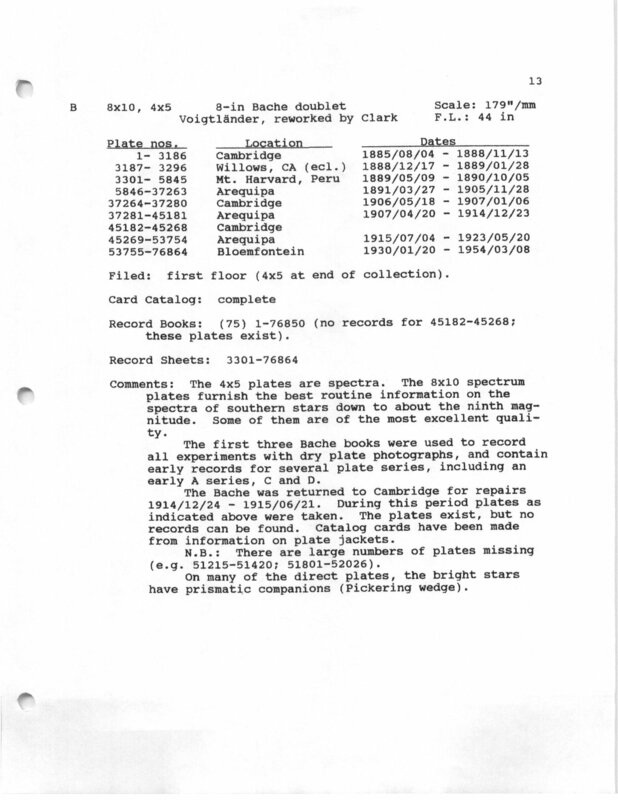 The values provided here are not definitive for early "mc" plates before the objective was refigured, and for the multiple-telescope "mb" series. 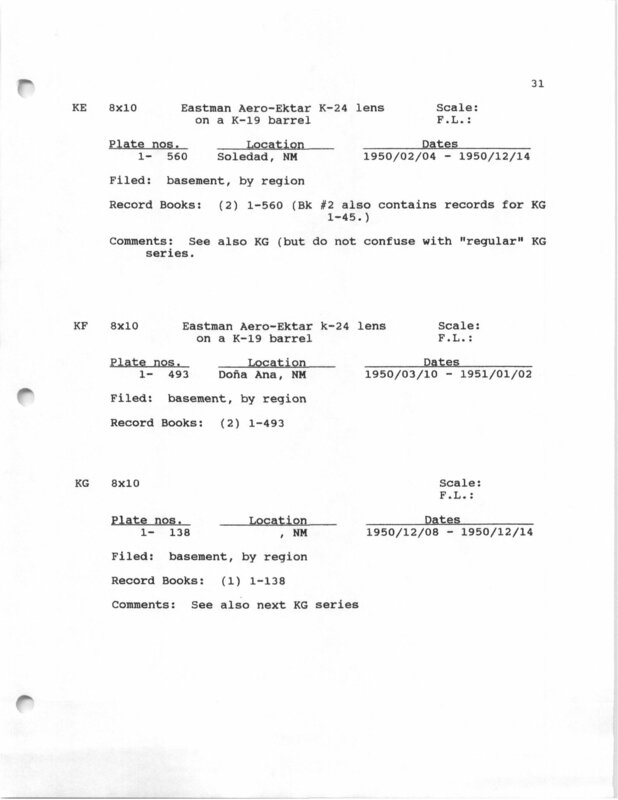 There are currently 92 series in the database. 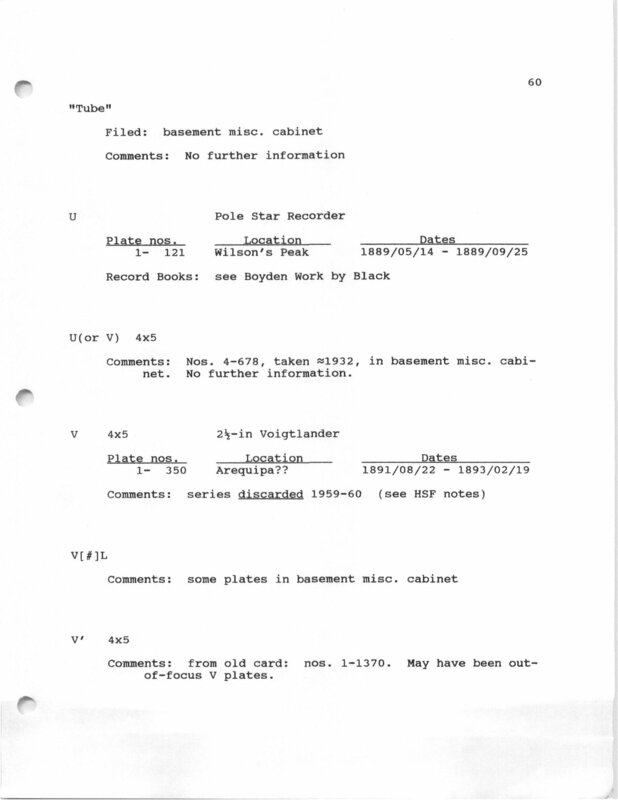 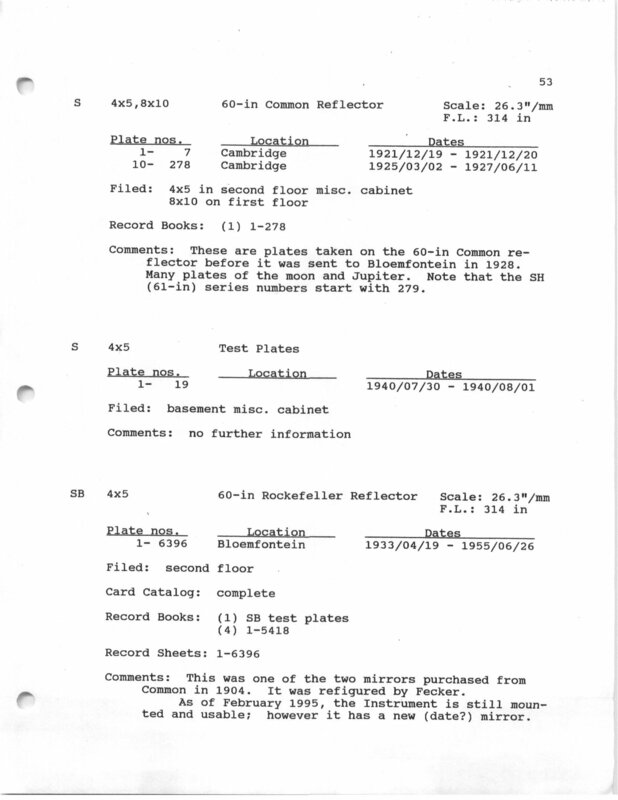 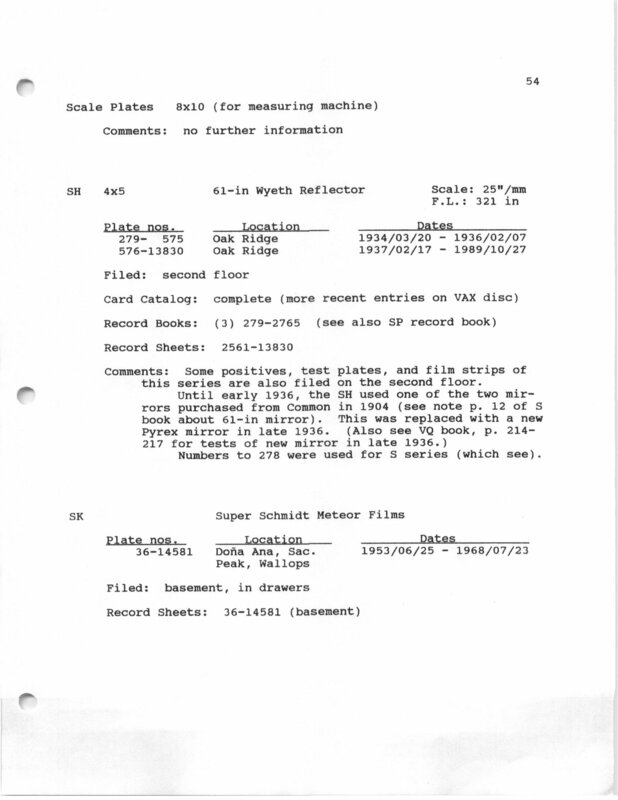 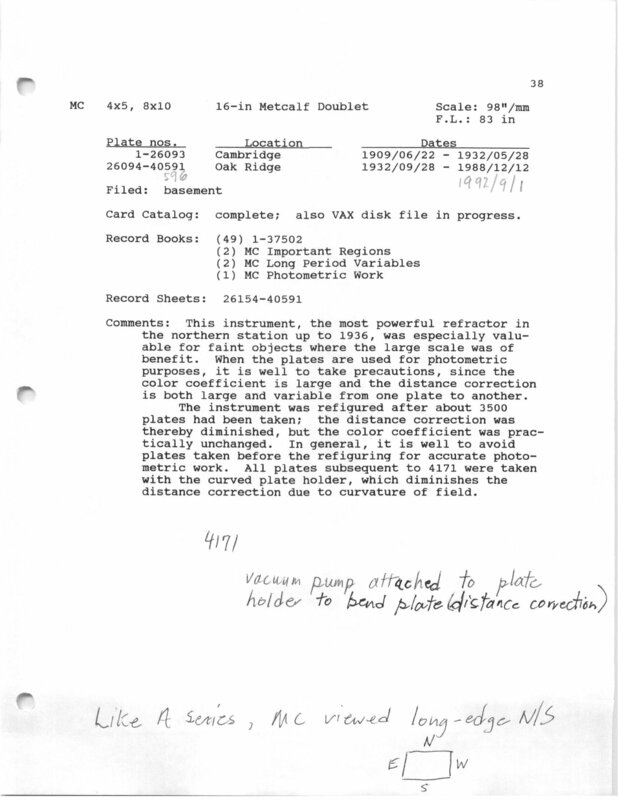 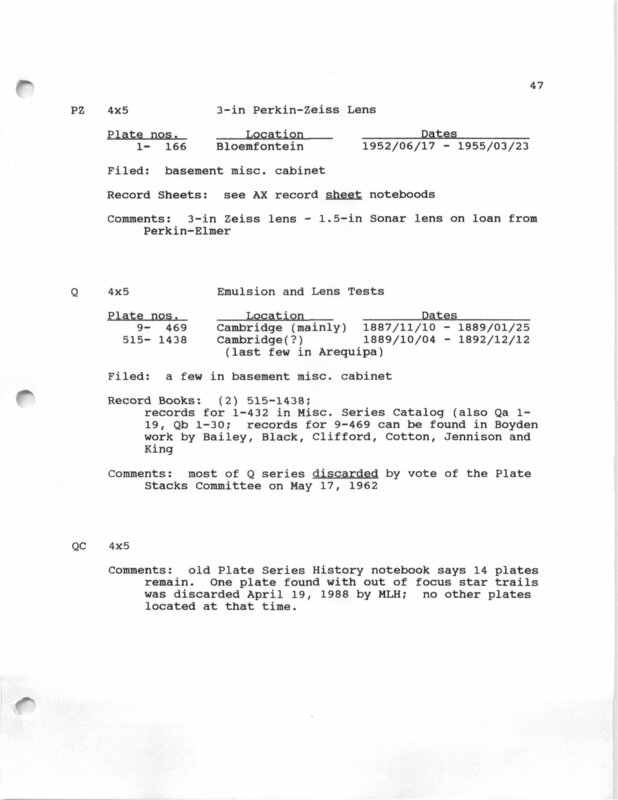 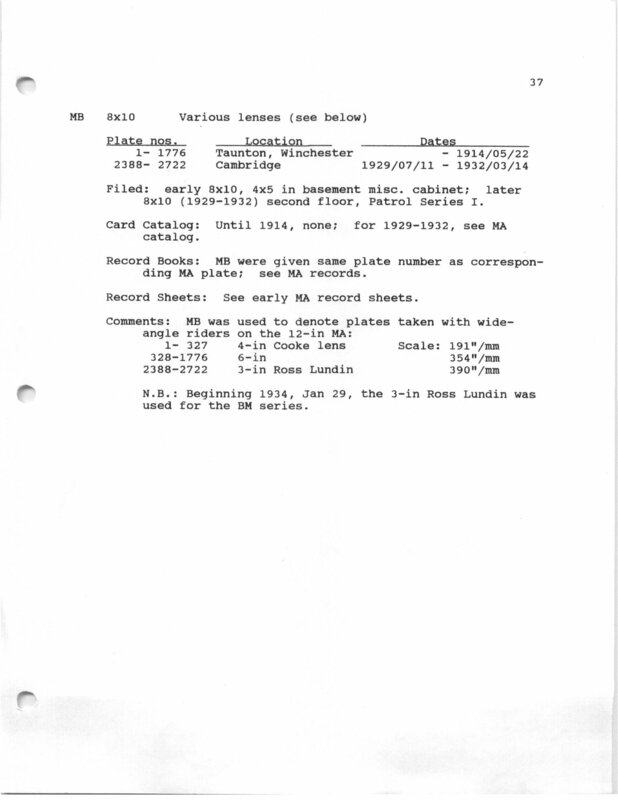 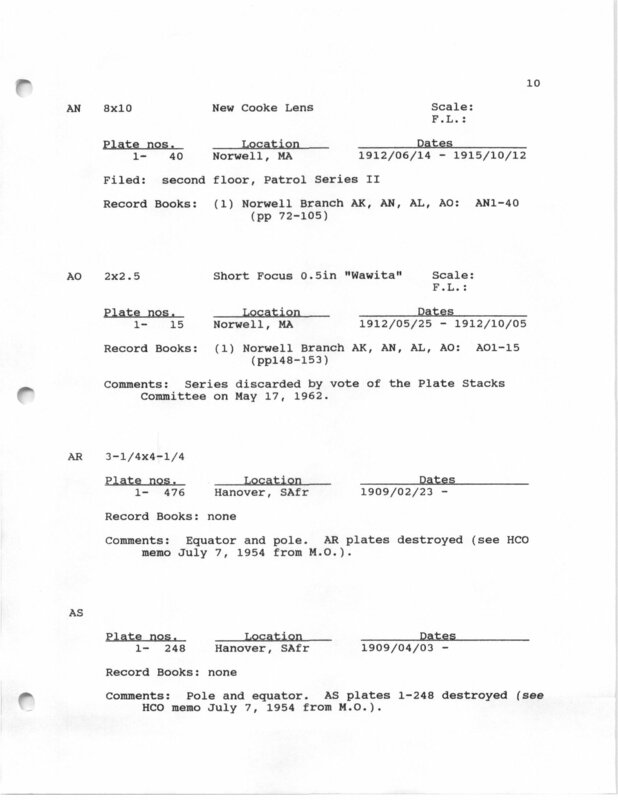 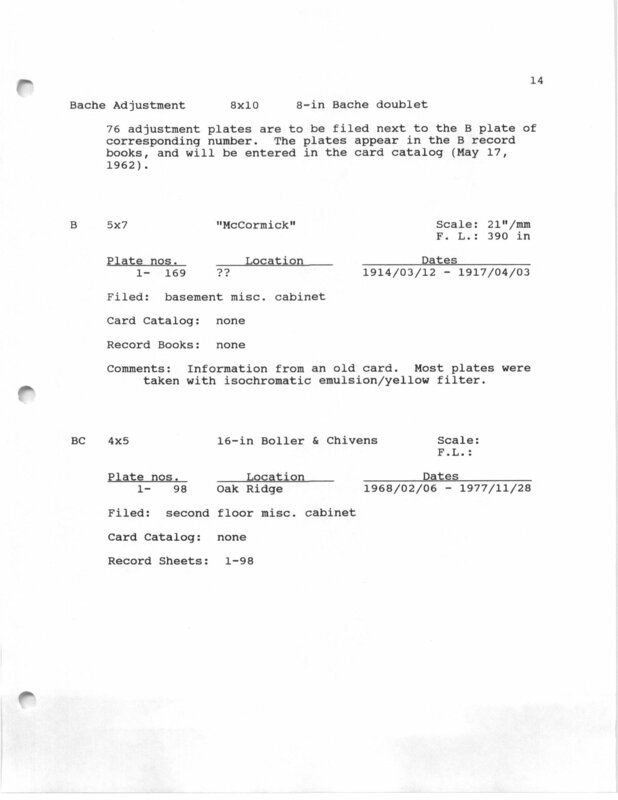 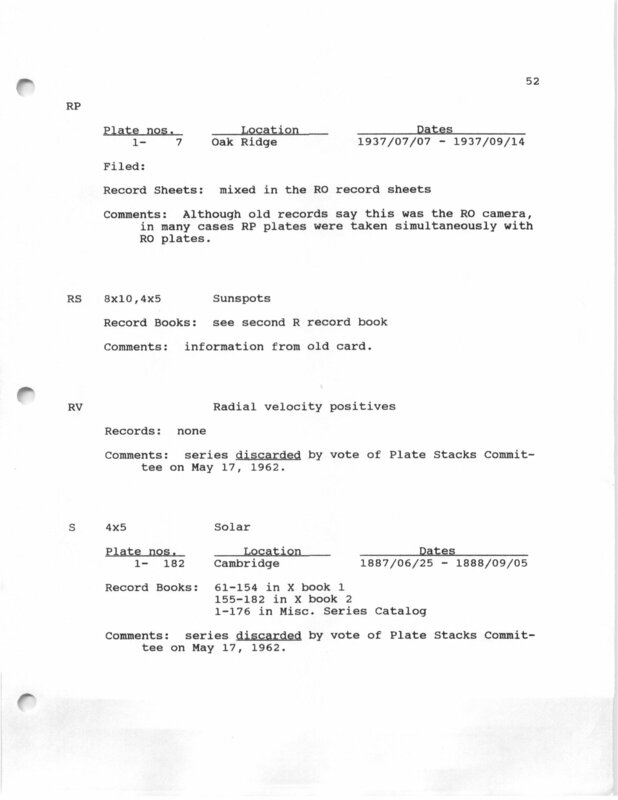 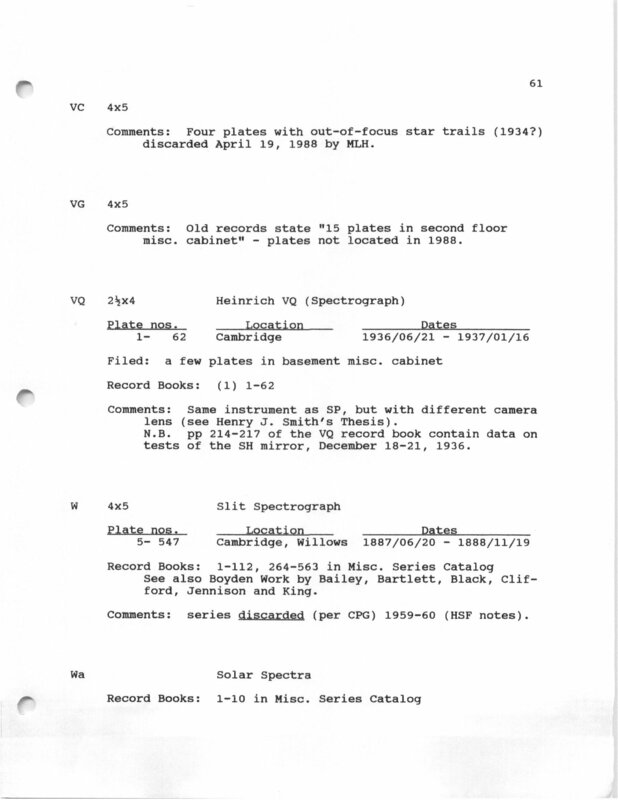 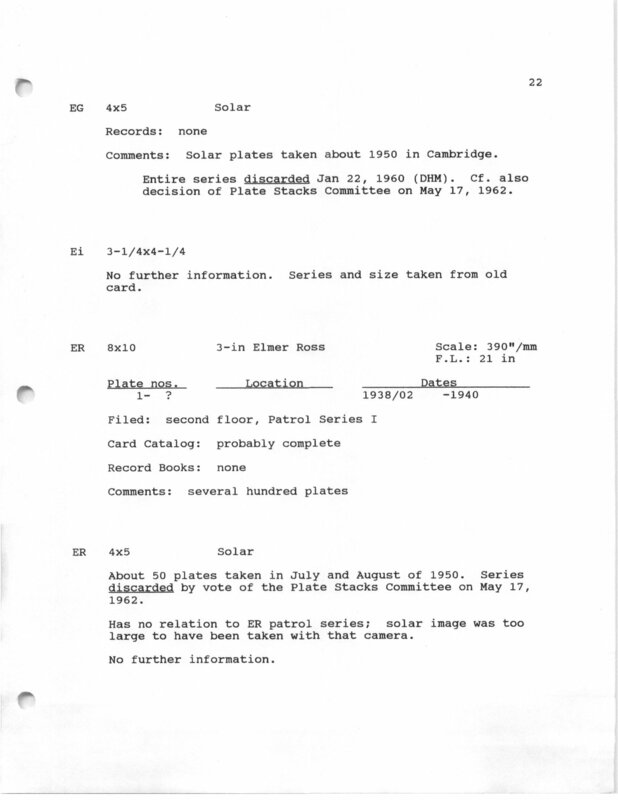 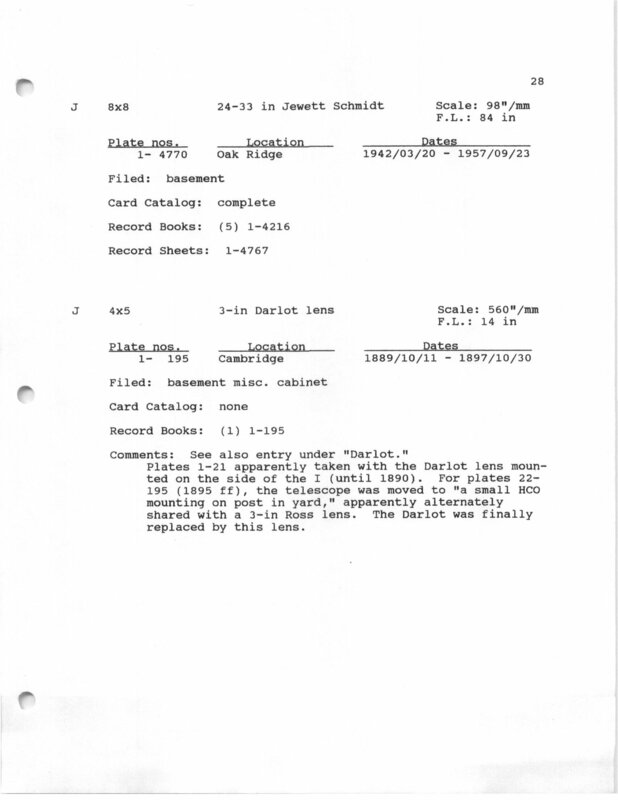 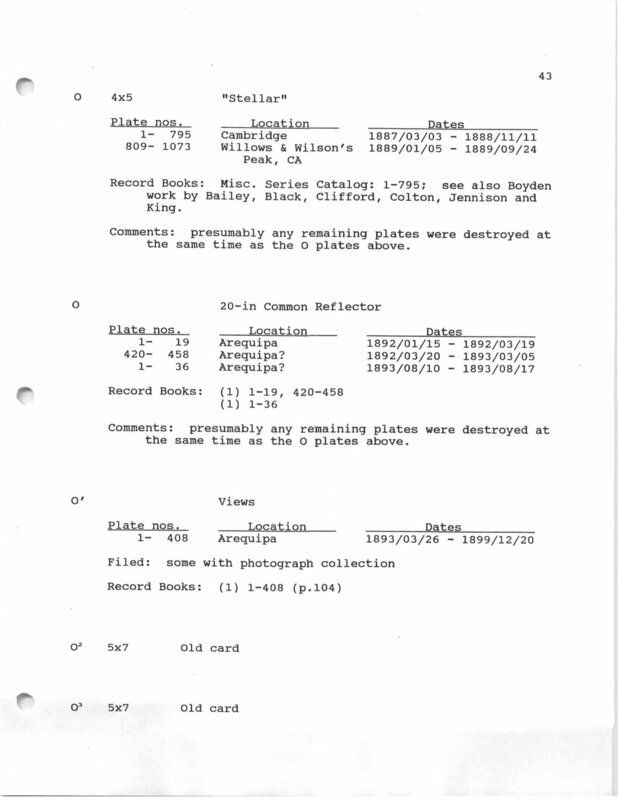 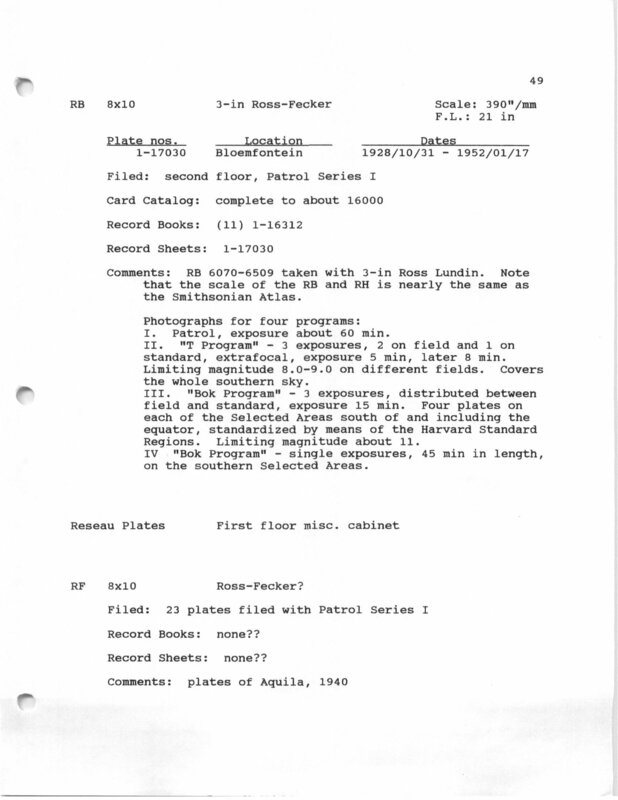 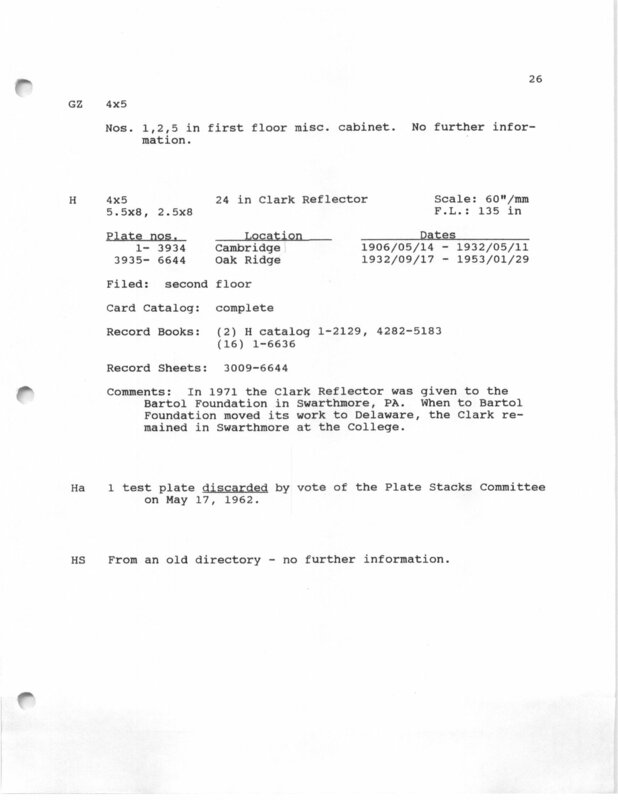 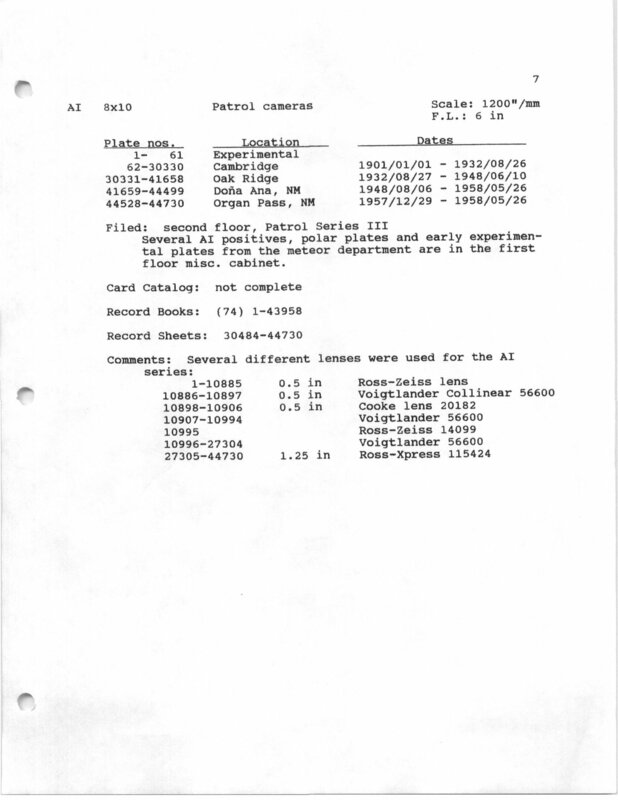 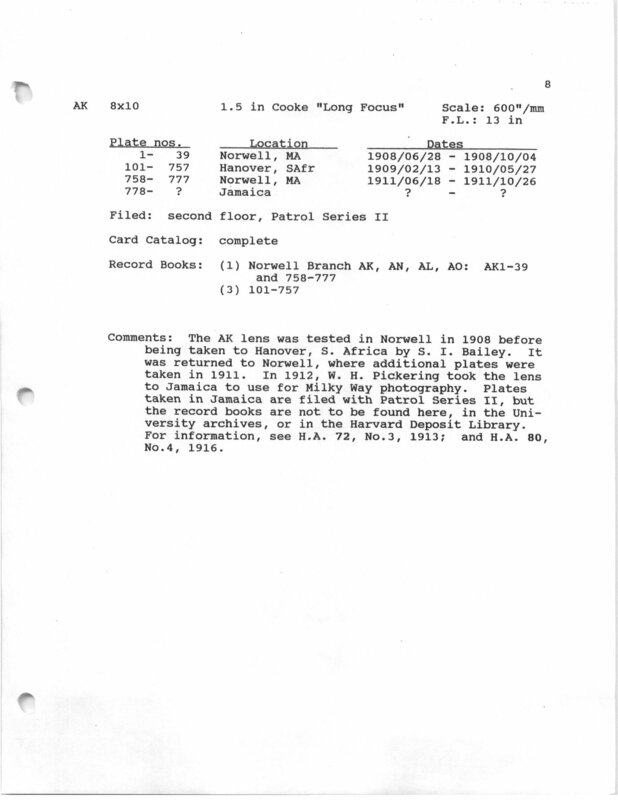 The primary source of this information comes from Martha Hazen's History of the Plate Series binder at the plate stacks. 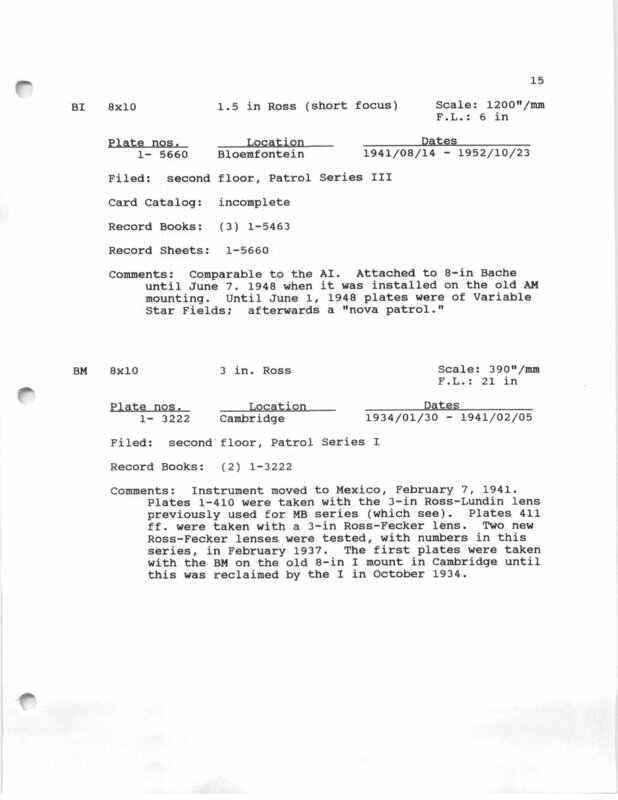 To see this source information, click on the series name in the table below. 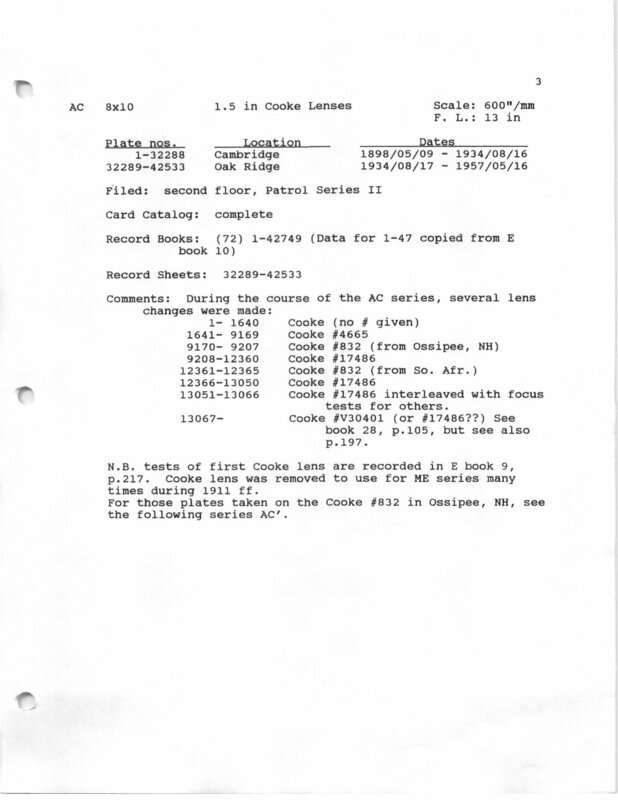 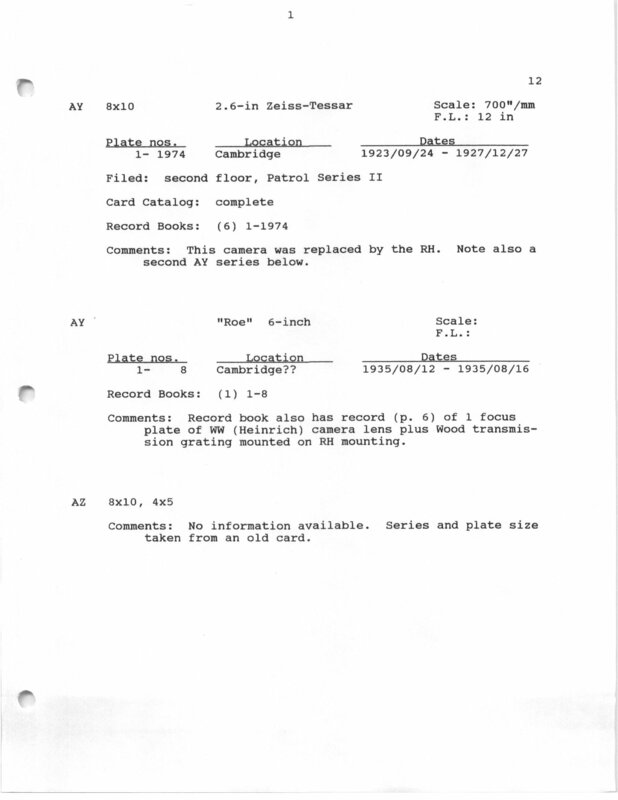 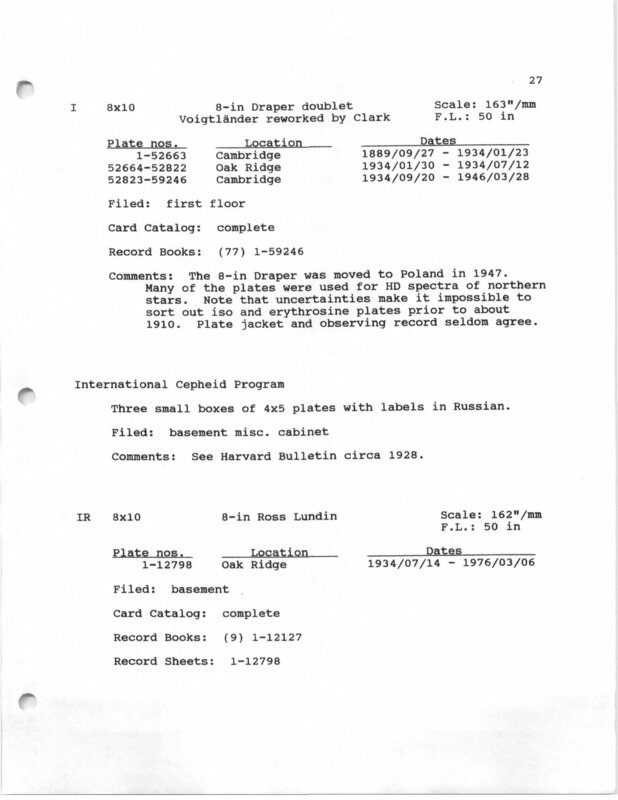 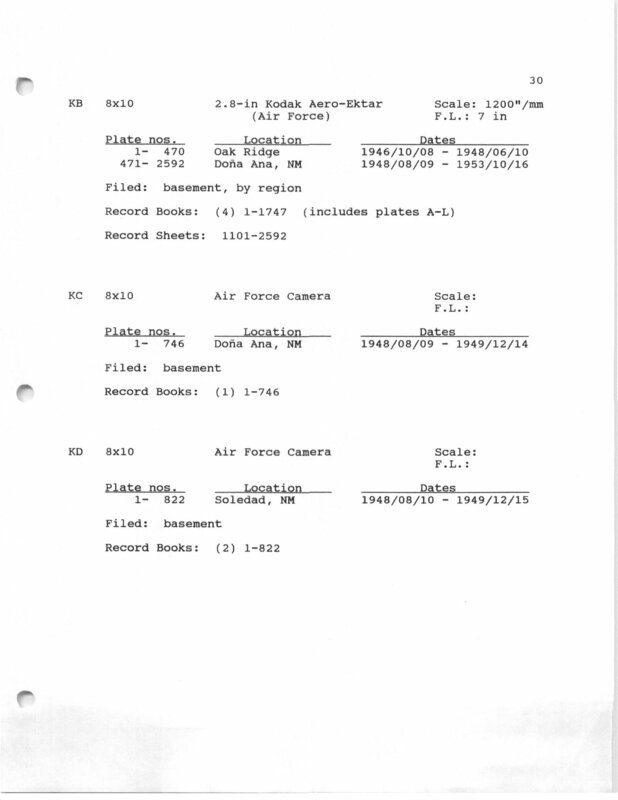 38 acmisc ac-b logbook. 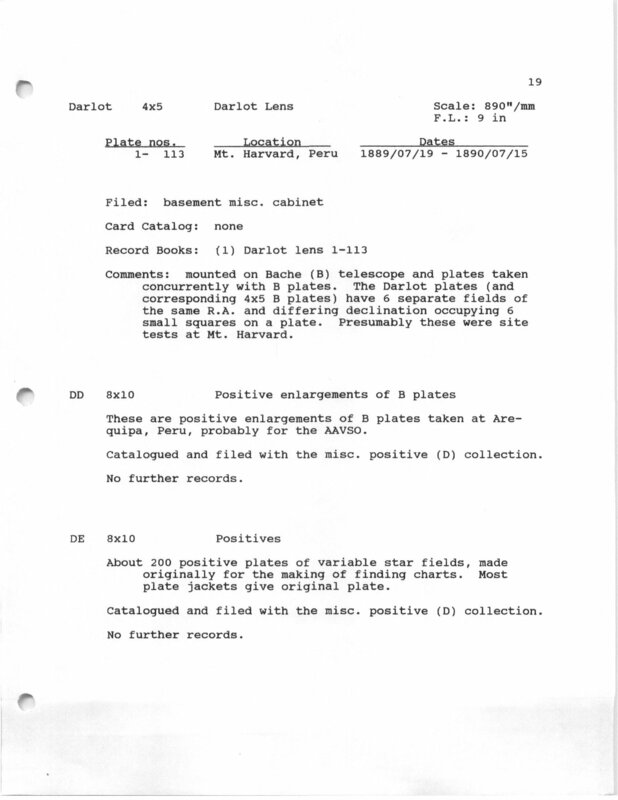 No plates. 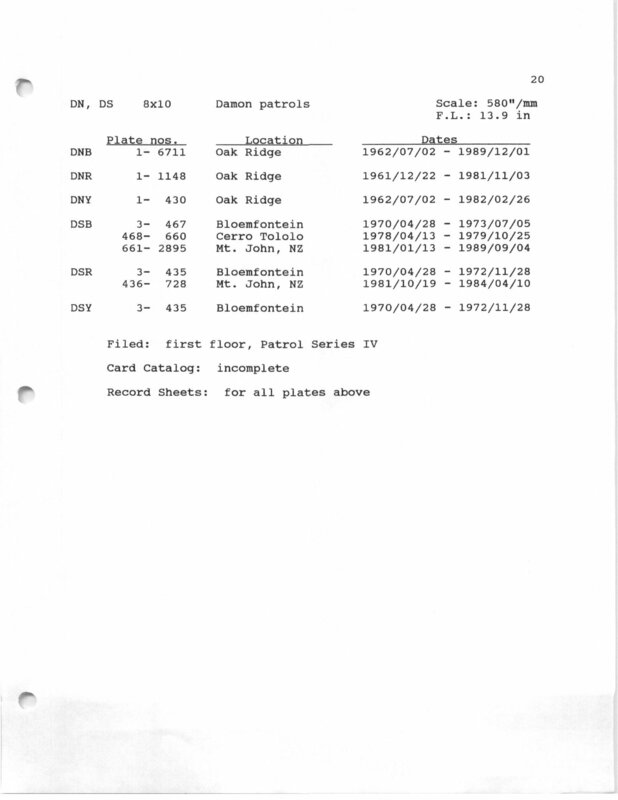 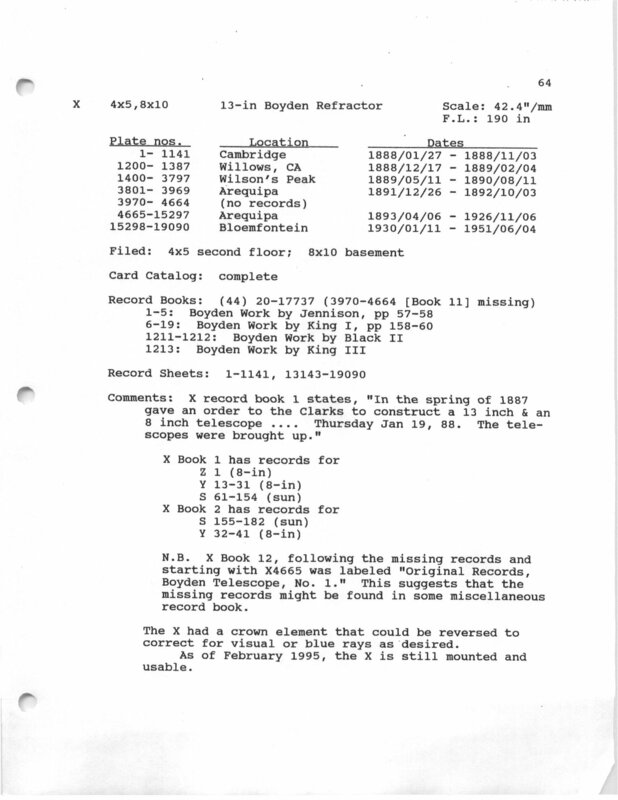 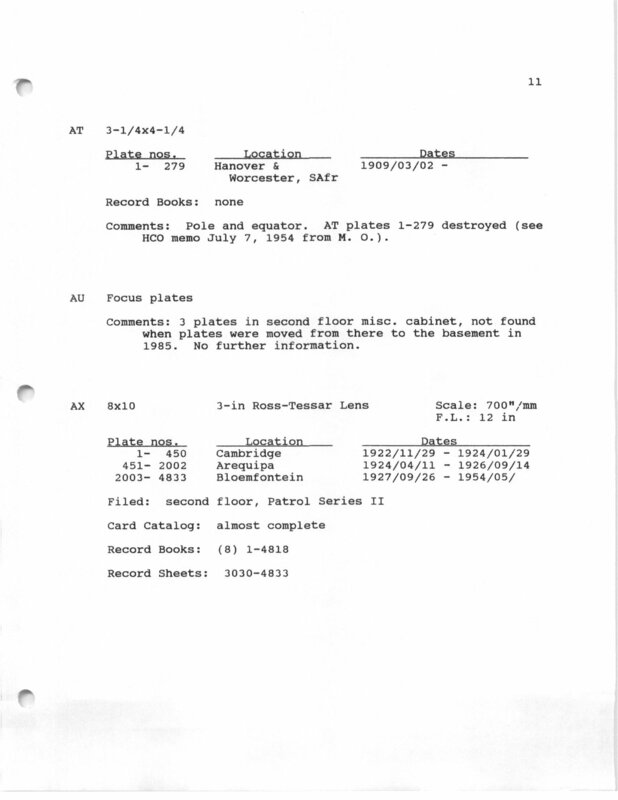 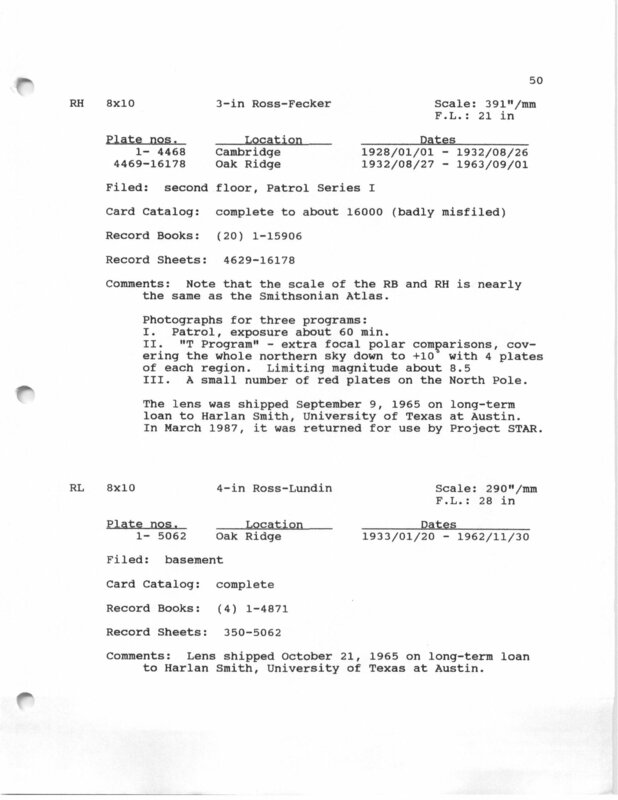 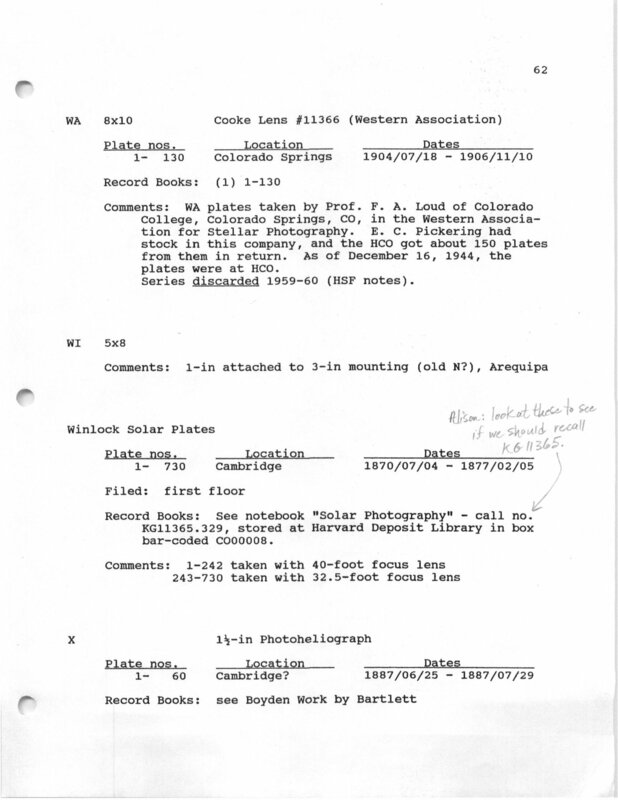 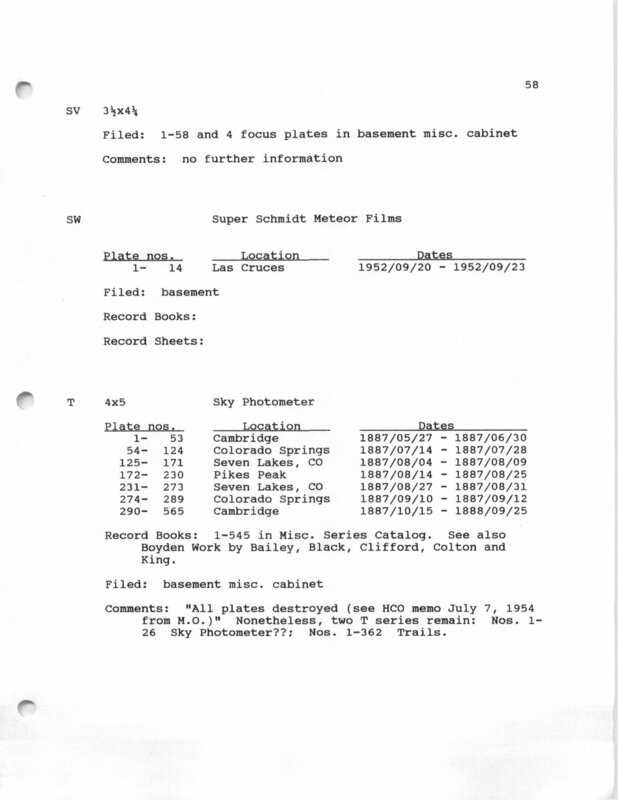 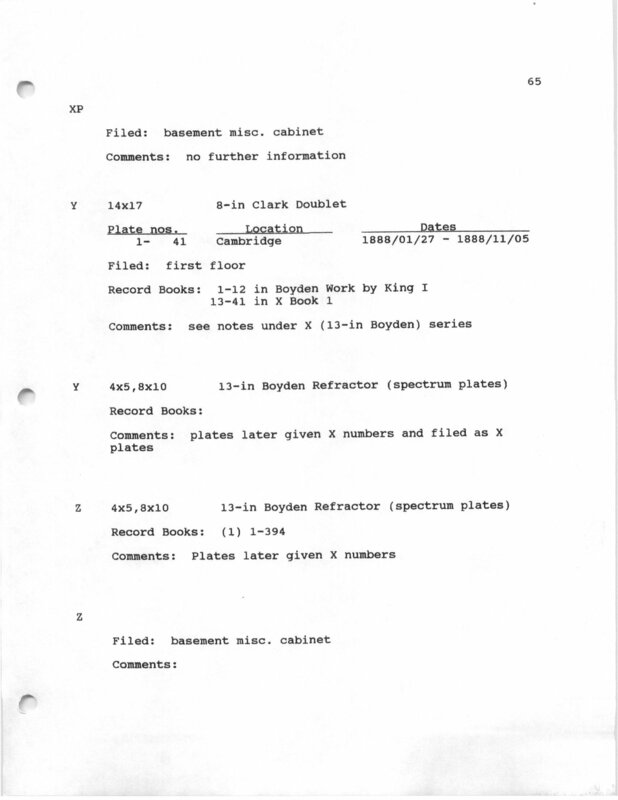 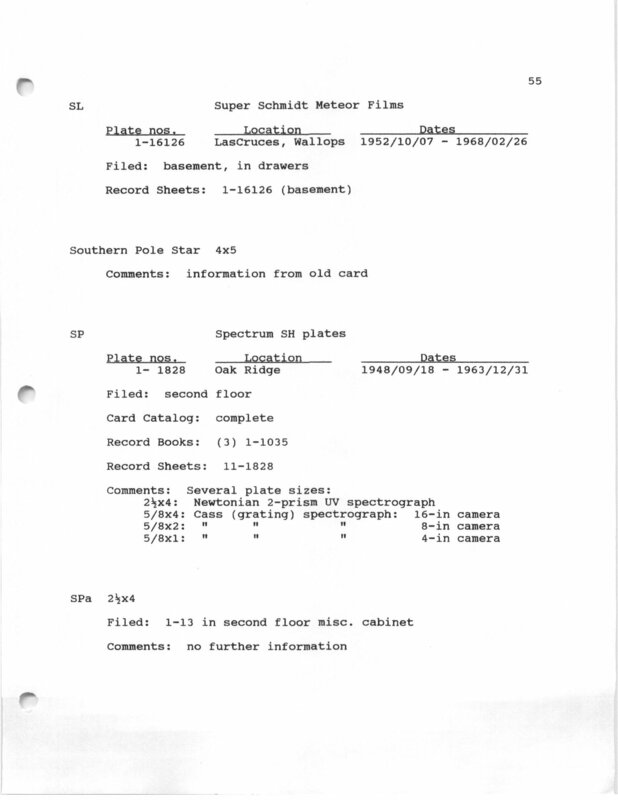 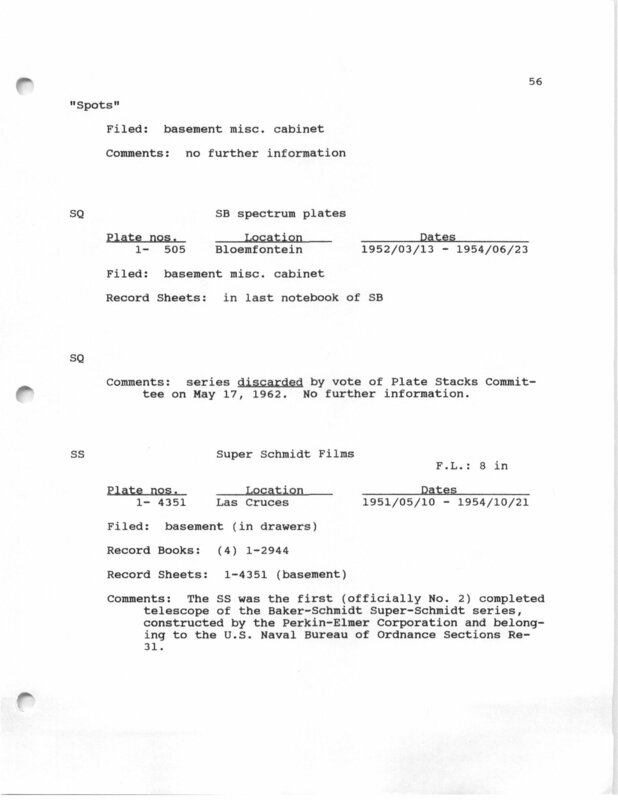 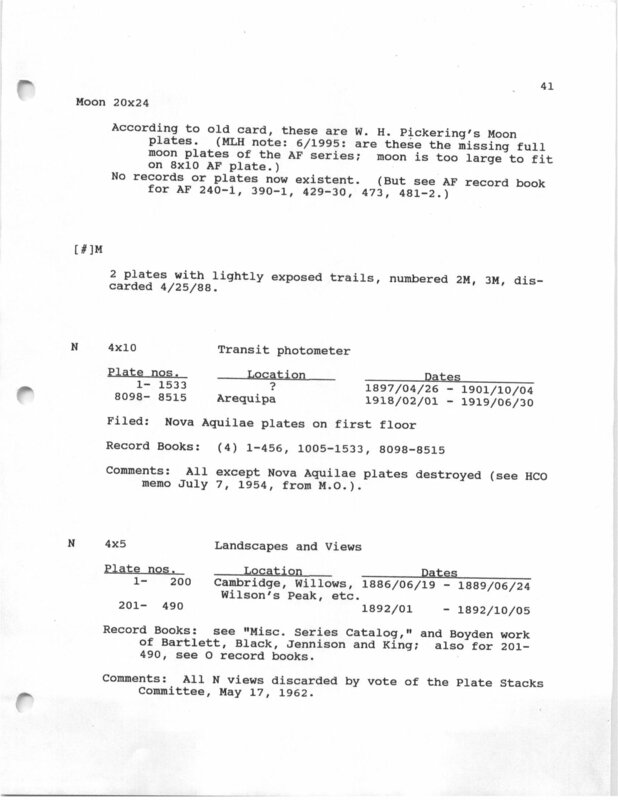 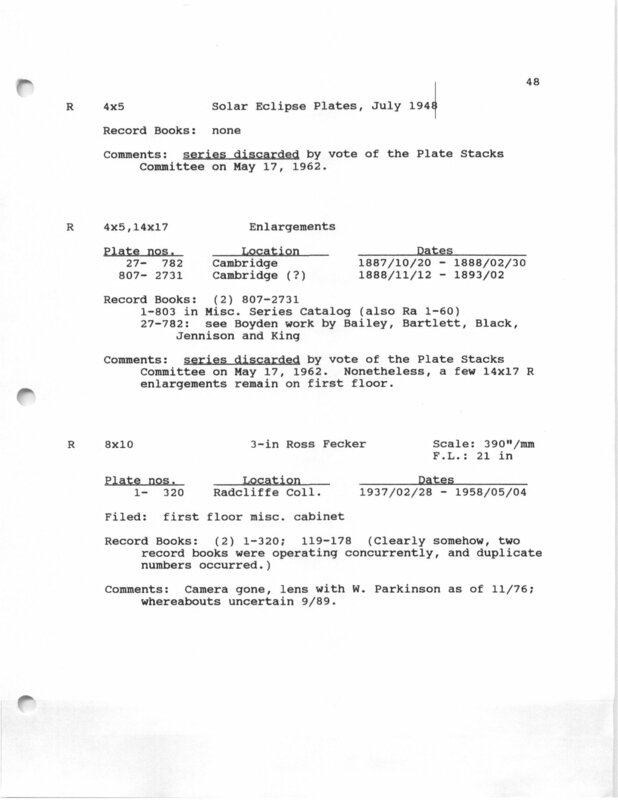 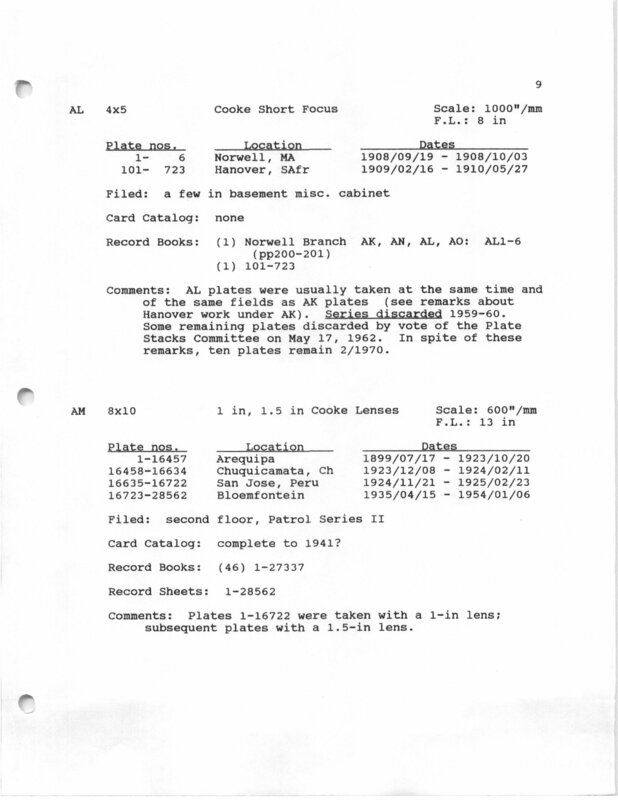 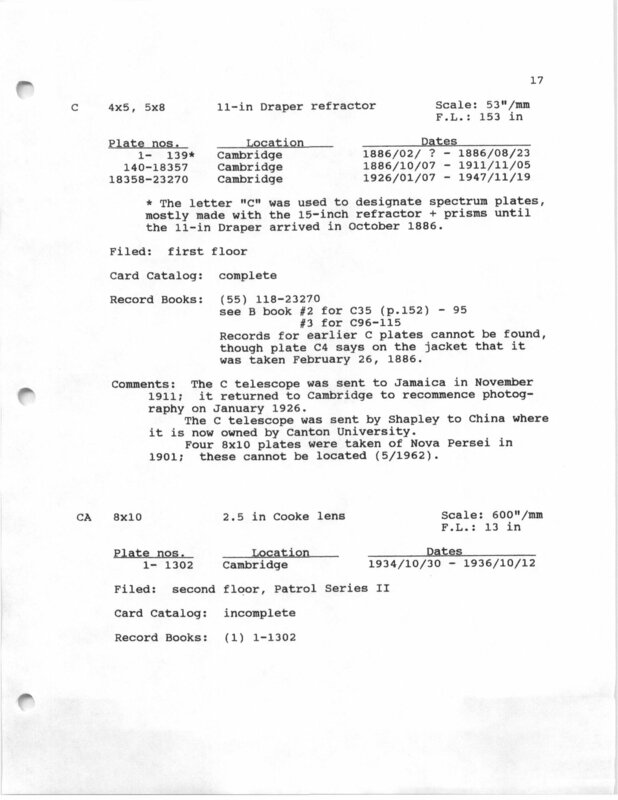 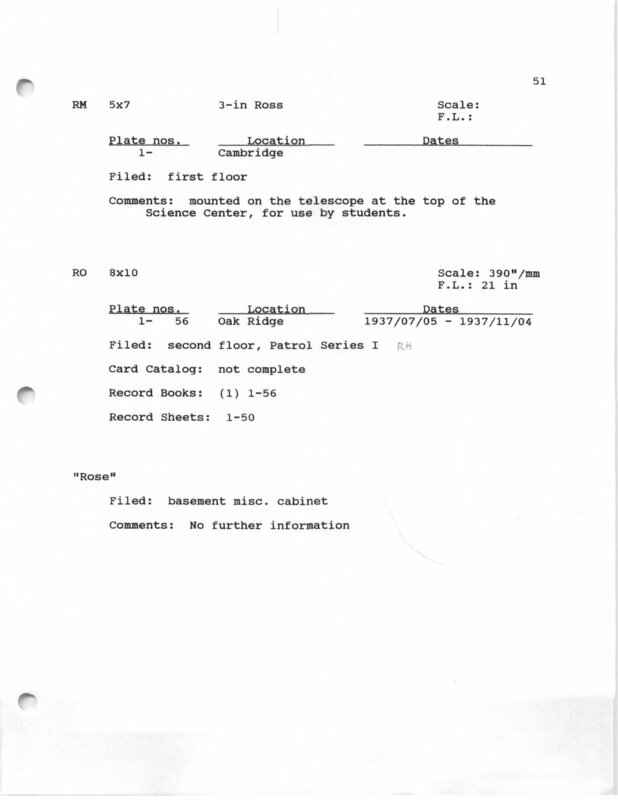 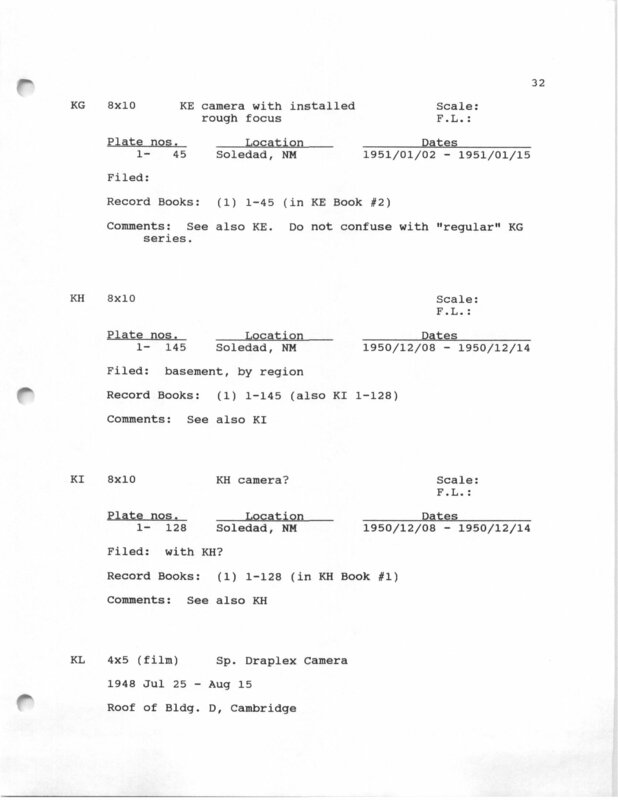 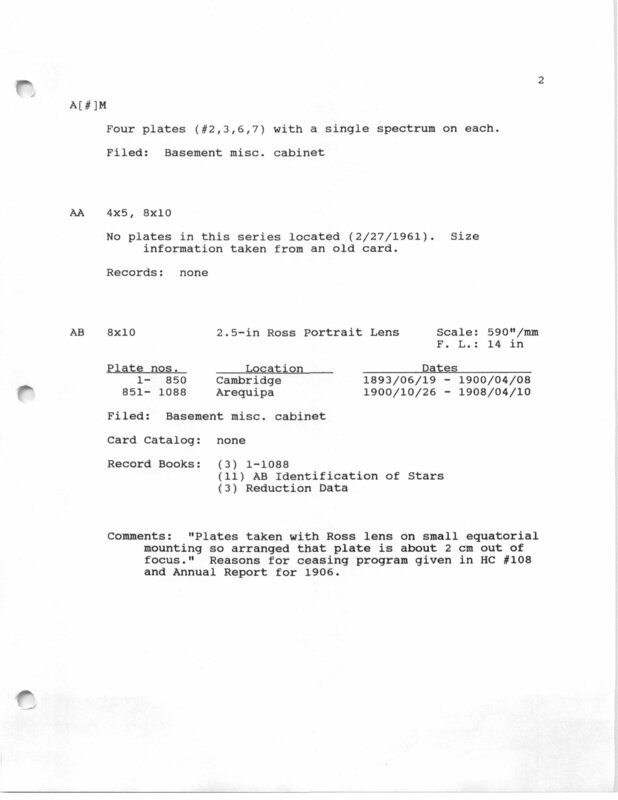 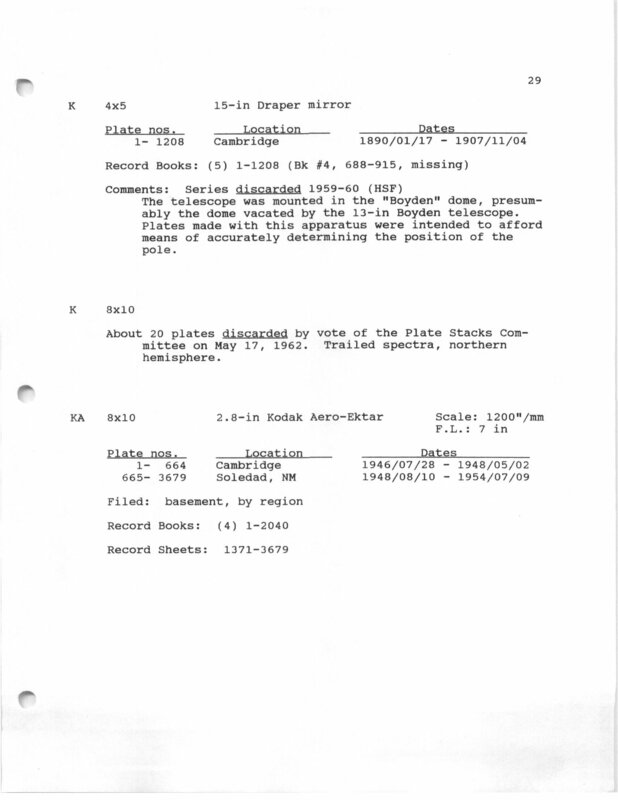 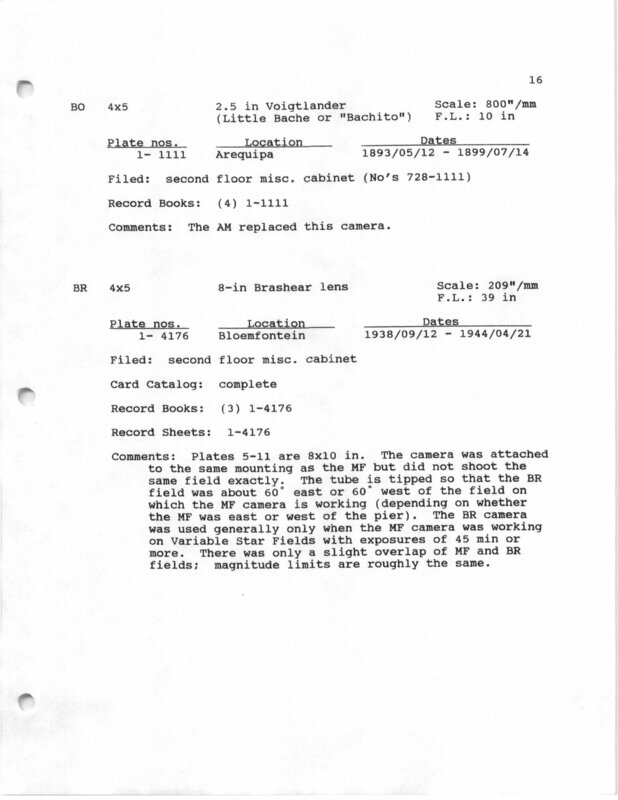 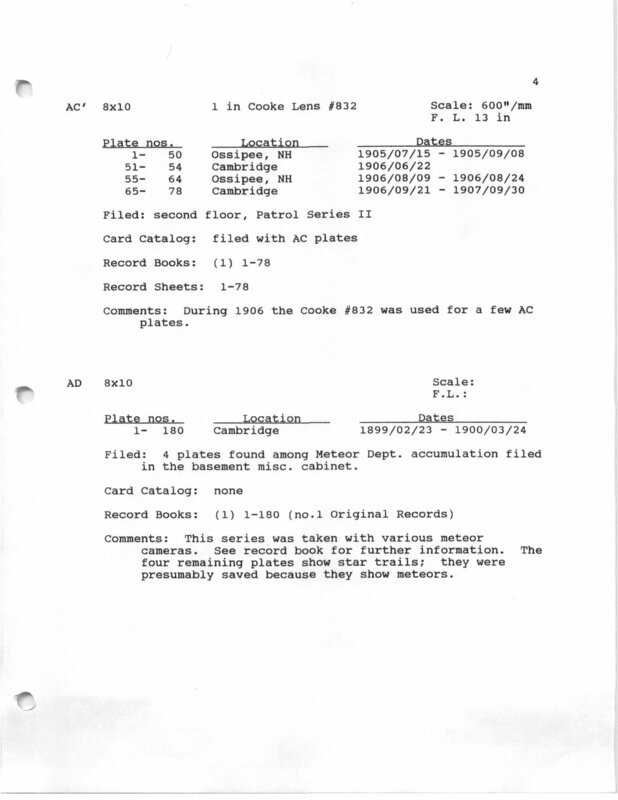 41 ak 0.038 614.5 1.5 in Cooke "Long Focus"
53 hsl Henrietta Leavitt Logbooks. 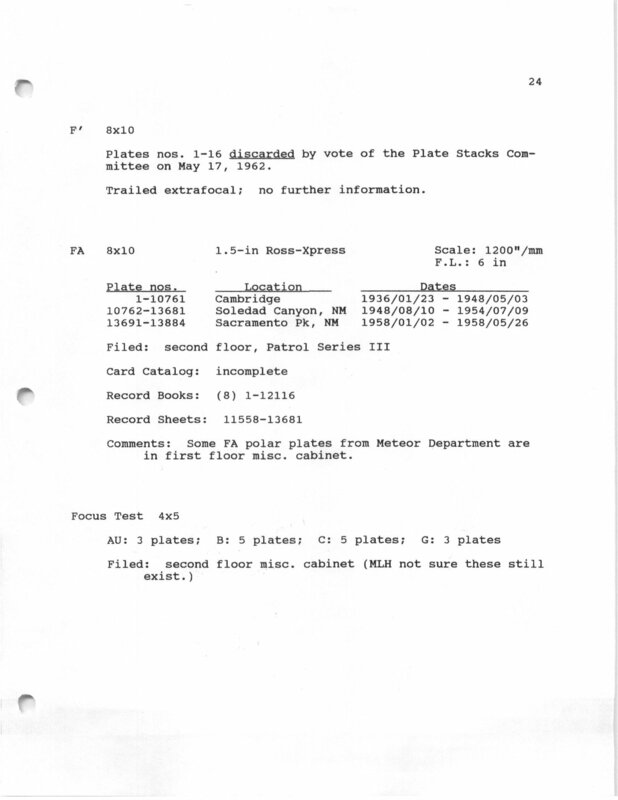 No plates. 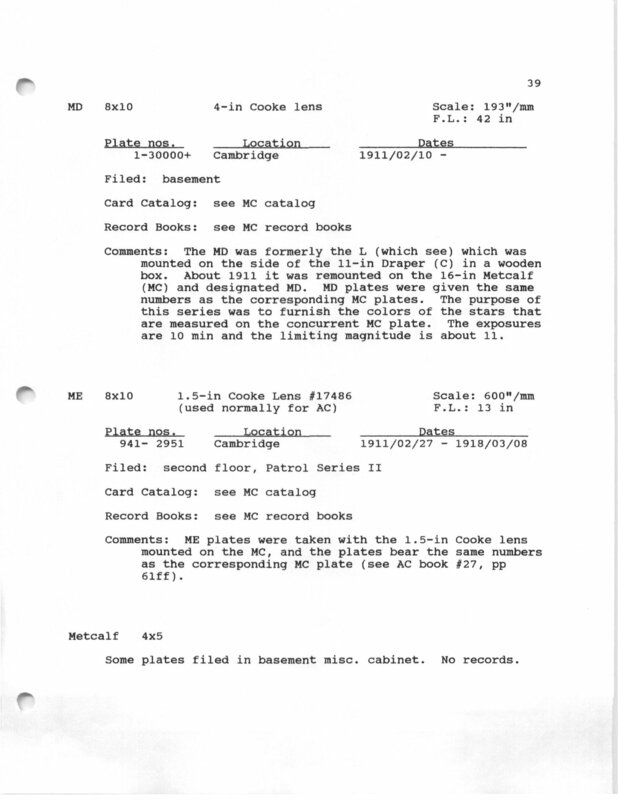 55 misc Logbook Only. 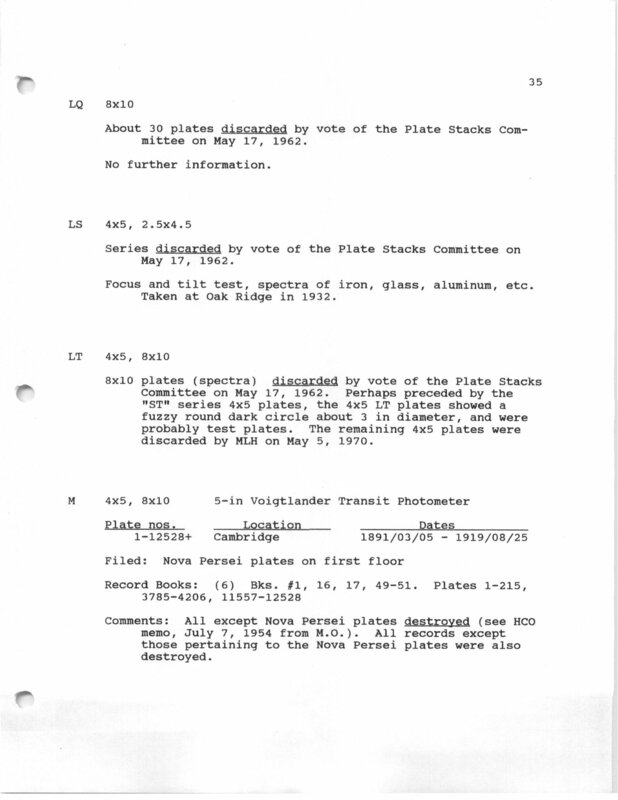 Pages without plates.